Pathya Ayurvedic Treatment Centre is a place of retreat for anyone seeking a genuine holistic experience for the well-being of body and mind. 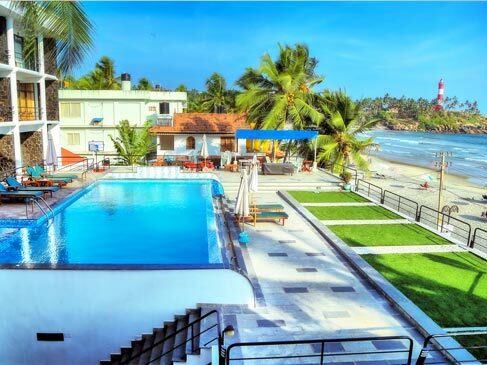 The centre is situated at the kovalam's major tourist attraction" Neelakanta Beach resort" the famous name among the best beach resorts in Kovalam. With a focus on authentic ayurveda combined with today's possibilities of medicinal sciences, the pathya ayurveda centre offers an alternative to western medicine. Pathya ayurvedic centre is run by a family of Ayurveda doctors supervised by DR. Venu and Dr. Meera the biggest name among the best ayurvedic doctors in Kovalam, Kerala. They look back on the knowledge and experience of more than five generations of Ayurvedic doctors. This precious heritage has been passed on to today's generation. Situated near the famous Kovalam Beach, the centre is an oasis for your regeneration. Whether you seek to regain your health and vigor or simply slow down and relax from everyday life. At Pathya, the ayurvedic treatments are customized to your specific needs and designed to make the most out of your stay at the centre.